I have this bad habit of staying up later than I mean too, and when I mean later I mean like two hours later! I’ll be in bed but then I just remember that I have a million things to do. So I ended up in bed around 2am which caused me to wake up around 11ish. Boo, I hate feeling like I sleep my day away. I only have one morning class this semester so there really isn’t any motivation to wake up sometimes. After my Biology lab, which was AWESOME today (we got two new cadavers!) I headed out for a quick two mile run and then went to my apartment gym to do some abs and a mix of arms/legs. I felt like today I was sweating a lot more than I usually do. My shirt was SOAKED and half way through my workout I had to take it off! Do you ever feel that way? 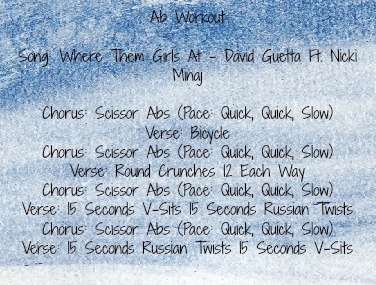 Anyway, here is the workout! 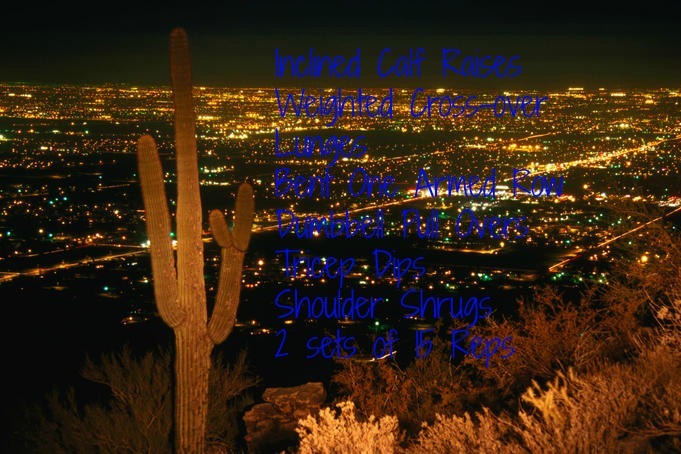 Let me know if you guys try the workout and what you think of it!